Arthritis is an umbrella term for over 100 medical conditions that affect your joints. As the population ages, the number of people with arthritis is growing. 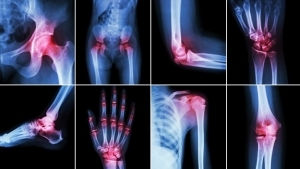 There is a widely held belief that arthritis is simply a consequence of age. But it is not a natural part of ageing. In fact, there are millions of working age sufferers. Research suggests that early intervention can delay the onset of the disease and may reduce the number of cases of osteoarthritis.